Southwest Florida Reporting Services, Inc., is a full-service court reporting firm committed to excellence and professionalism. We offer both traditional and high-tech reporting services at any gathering where a written transcript is needed; civil and criminal trials, hearings, depositions, sworn statements, arbitrations, conventions and meetings. 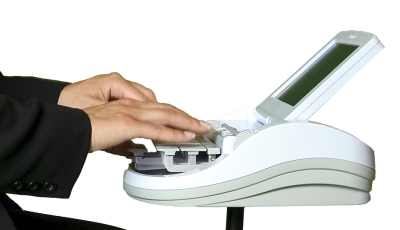 Our court reporters are experienced, dependable and dedicated professionals representing both state and national court reporting organizations. We will ensure that you and your entire legal team receive the highest level of professional service. Southwest Florida Reporting Services, Inc., is headquartered in Naples, Florida, and provides conference rooms and video support throughout Southwest Florida, including Charlotte, Collier, Lee, Sarasota and Highlands Counties serving the communities of Belle Meade, Bonita Springs, Bokeelia, Boca Grande, Cape Coral, Captiva, Copeland, Estero, Felda, Goodland, Golden Gate, Immokalee, Isles of Capri, Fort Myers, La Belle, Lehigh Acres, Marco Island, Naples, Ochopee, Pine Island, Punta Gorda, Port Charlotte, San Carlos Park, Sanibel Island, Sarasota and Tampa. We now also have deposition suites on the Southeast Coast including Miami-Dade, Broward and Palm Beach Counties serving the communities of Miami, Hialeah, Hollywood, Fort Lauderdale and West Palm Beach. ​At Southwest Florida Reporting Services we believe our customers deserve every possible advantage in quality, in service and, above all, in technology. We are committed to bringing you the latest, most powerful tools for managing the complex information demands of litigation today. From court reporting and video services to multiparty case and data management, we are mastering the current technologies and and tools as they emerge to give you and your legal team the winning edge.